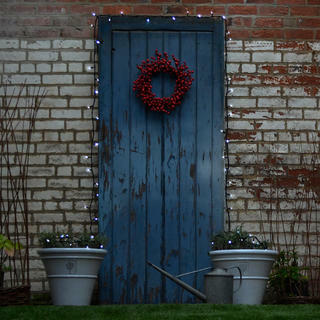 These beautiful string lights are designed with versatility and flexibility in mind. They can be used on their own, or can be connected with more strands to give you greater lengths without having to worry about messy cables! 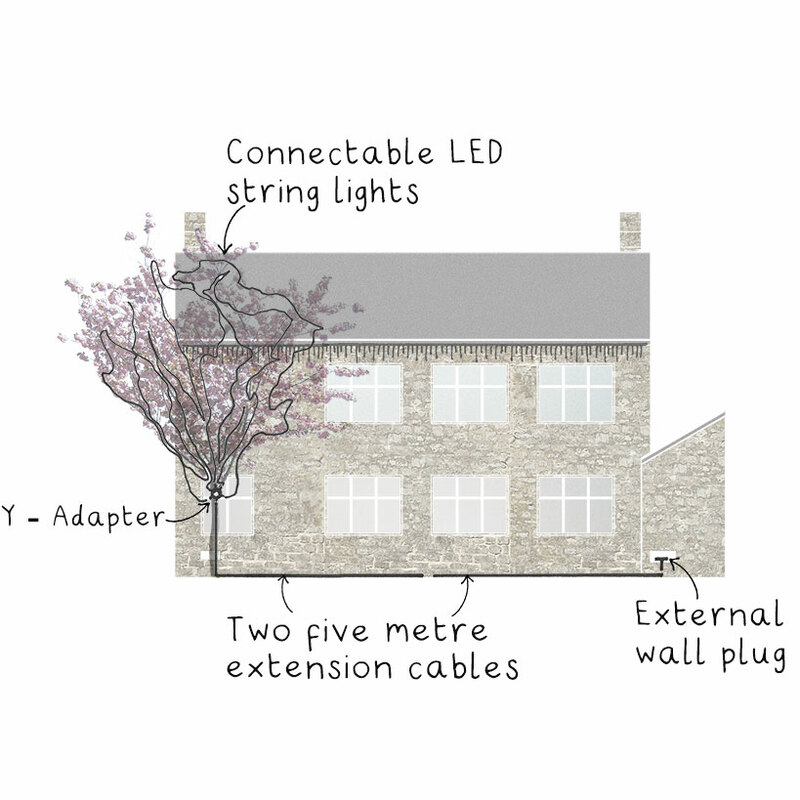 We offer accessories which can help you achieve different effects: use our long connectable LEDS strands to create dramatic sweeps overhead, or use connectable LEDS with a Y connector to light up a tree. 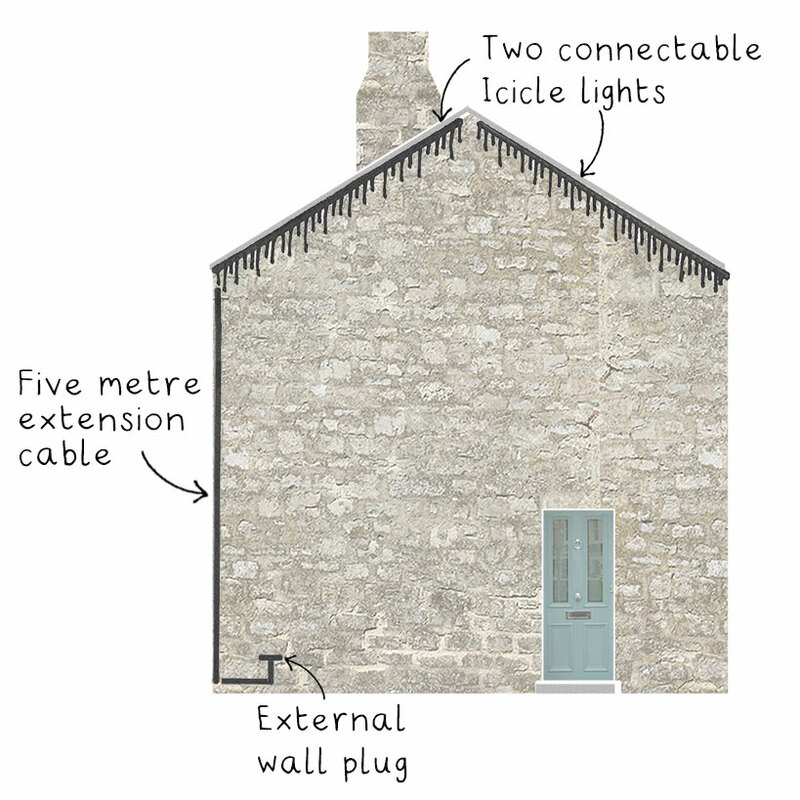 Apart from single string LEDs you can also buy connectable icicle lights to give your home that beautiful ice-y look. These work the same as the standard connectable string lights and can be used with any of the accessories, and can be connected end to end to span greater distances. 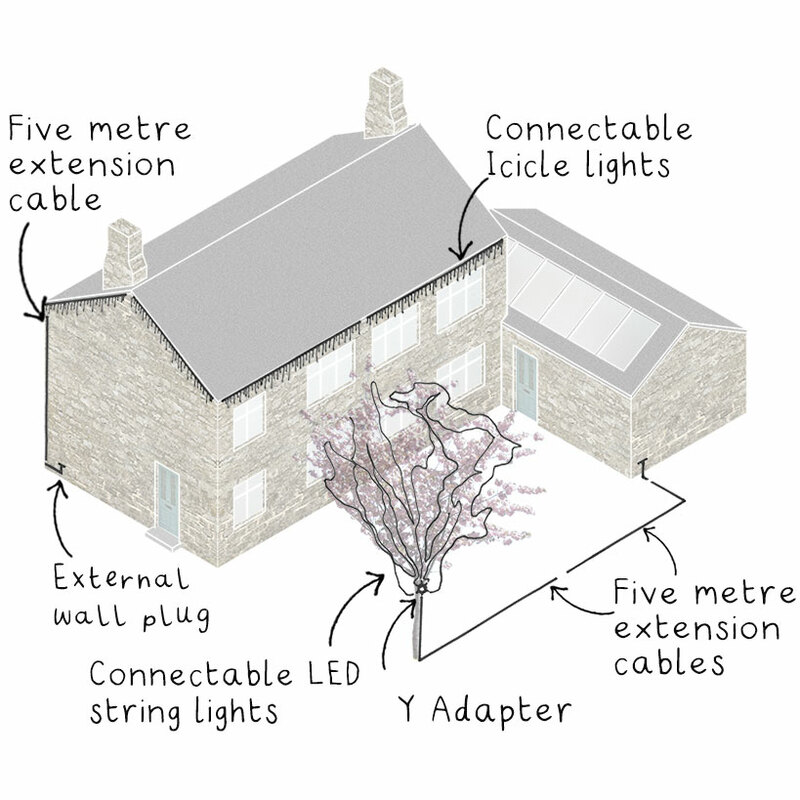 Please note that the overall length for both the single string and icicle LEDS should be no more than 100m including any extension cables. 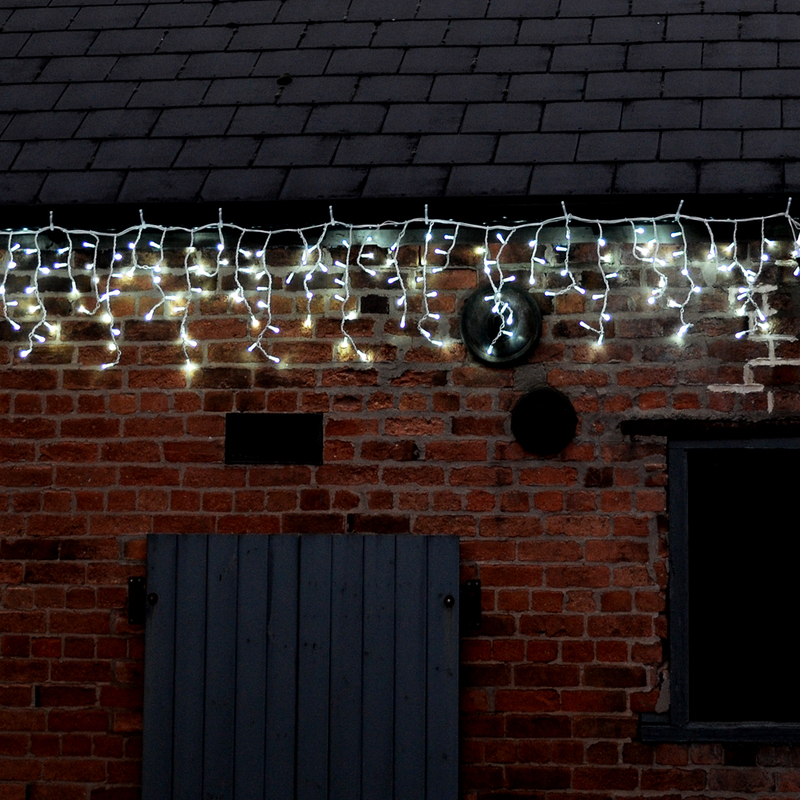 Please do not hesitate to get in touch with us if you are would like more information about connectable string lights - we will be more than happy to help you! Our telephone number is 0345 605 2505, or drop us an email at customerservices@worm.co.uk if that is what you would prefer.